The president’s reluctant decision to compensate for insensitively celebrating with his privileged friends in Kano who luxuriated in obscene opulence at a time the nation was (and still is) reeling from a string of horrendous sanguinary tragedies by visiting the nation’s hot spots has lost its symbolic worth for at least three reasons. Symbolic gestures are appreciated only when they are not forced, when they are given willingly, or unexpectedly. That’s why people don’t appreciate birthday gifts from their significant others if the gifts are given only after they are demanded—or only after the givers are reminded. The value of the gifts isn’t in their monetary worth but in the thought that goes into buying and giving them unsolicited. It’s the same with symbolic presidential visits. Their value doesn’t lie in the immediate problems they solve because they don’t solve any problems; their value lies in their symbolism. So Buhari’s forced tour of the nation is actually symbolically worthless, but it’s at least better than his accustomed aloofness. Nevertheless, the president appears to still be smarting from being forced to visit troubled spots in the nation. He said he should “not be expected to always go out to the field to make noise and insult the sensibility of Nigerians before it would be known that I am taking actions against the killings.” Fair enough. But does he have to attend wedding ceremonies of his elite friends even in moments of national catastrophes? Can't he be represented by a minister, the same way that he sends delegates to sites of national tragedies? Or is it only the tragedies of poor people that he doesn't have to personally attend to? 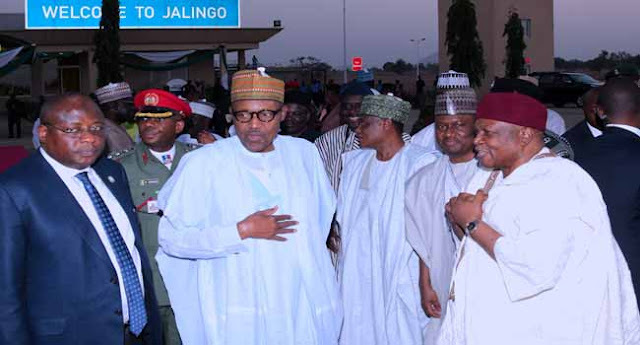 What is worse, though, is that the president is vitiating, even undermining, the whole point of the tour through his indelicate and unpresidential pronouncements in Taraba. The media reported him to have said that more people have been killed in Taraba than in Benue and Zamfara combined, adding he has a way of gathering his “own information on all the crises and killings in the country.” Exactly what purpose does this insensitive hierarchization of needless and avoidable bloodletting serve? The president was clearly attempting to delegitimize the pains of the people of Benue and Zamfara. Nothing can be more painful than to have one’s pains made light of, especially by a person whose duty it is to comfort you. Even a single death is a tragedy whose horror shouldn’t be attenuated by odious comparisons. As Vice Chancellor of ABU, Professor Ango Abdullahi was viciously excoriated in the 1980s when he said “only two” student activists were killed by police bullets during a protest. Buhari’s gaffe is even more egregious. He has sworn to protect all Nigerians irrespective of their ethnicity, religion, or state of origin. So why give more weight to one tragedy than others? Already, this unwarranted presidential gradation of tragedies has rendered the president vulnerable to charges of ethnic partisanship—and for good reason. In tense moments like this, the president should be a consoler-in-chief. He shouldn’t be seen to be escalating conflicts by playing favorites. Another tragic gaffe the president made was his insistence that he had fulfilled his campaign promise to secure the nation. “Today, even our worst enemy can attest to the fact that the APC-led federal government has done well in the area of security,” he said. “We have decimated Boko Haram, while the fight against corruption is going on well.” If government has “done well in the area of security,” why is the president on a tour of scenes of bloodletting? Why do we have more widespread bloodbaths in the nation now than at any time in recent memory? A president who doesn’t see the contradiction in flaunting his “success” in security while on a forced sympathy tour of several parts of the country that are drenched in oceans of blood lives in an alternate universe. He is completely disconnected from reality. And that’s scary. I seriously doubt that Nigeria can survive a Buhari second term. The man simply doesn’t have the temperament, emotional maturity, and intellectual preparedness to govern a complex, multi-ethnic, and multi-religious country like Nigeria. Anyone who can’t see this is worse than blind. 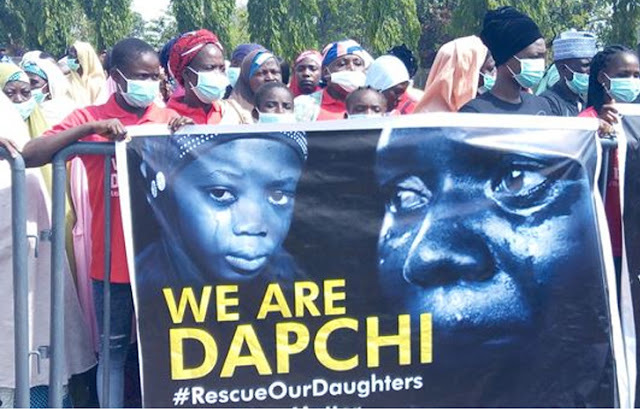 The abduction of innocent school girls in Dapchi, Yobe State, is yet another evidence of the falsehood about Buhari’s “success” in downgrading Boko Haram. I have called out these lies several times in the past at the cost of inviting smears and ad hominem attacks on myself. But that’s an insignificant price to pay for standing for the truth. As a reward for releasing 84 Chibok girls, the Buhari government paid Boko Haram a €3 million ransom, which adds up to more than 1.3 billion naira, according to the Wall Street Journal of December 4, 2017. "Several senior officials confirmed that the swap included the release of five captured militants and a total of three million euros, delivered in two drop-offs," the paper reported. "To a threadbare insurgency that had been driven into the mountains, the two payments in 2016 and 2017 represented a timely windfall. Since the insurgents collected their three million euros, some Nigerian officials say an army that had struggled to feed itself seems replenished." Earlier in October 2016, the government paid the terrorist group what the London Guardian of October 14, 2016 called a “‘handsome ransom’ worth millions of dollars” in exchange for the release of 21 Chibok girls. “Millions of dollars” would add up to at least a billion naira. Again on February 11, 2018, the government paid Boko Haram an unspecified amount of money to free 13 hostages. In essence, Boko Haram now has a bigger, fiercer, more menacing war chest—financed from Nigeria’s public treasury— than the Nigerian military. Meanwhile, Boko Haram’s ranks are being swelled by the same government. For instance, in addition to paying the group 705 million naira in 2017, five notoriously vicious Boko Haram commanders in the custody of Nigerian authorities were released. On January 15, 2018, the government freed 244 “repentant” Boko Haram members. How the hell did they know that they are “repentant”? And what does that even mean? A few days ago. the government freed another 526 Boko Haram members, according to CNN. There’s more, but that’s what I remember for now. Feel free to add to this. When you add this to the fact that on at least two occasions (according to BBC Hausa and Daily Trust), our foot soldiers who came close to capturing Boko Haram leader Abubakar Shekau were told to back off by unnamed honchos in Abuja, there is little doubt that the Buhari administration is an enabler of Boko Haram. What’s even more tragic, though, is the utterly irresponsible propaganda the government spews about “technically” or “completely” defeating Boko Haram, which has anesthetized vulnerable people into a false sense of security and made them easy targets of the murderous, nihilistic terrorists.